The only good thing about cold weather at this time of the year is that it puts everyone in the Christmas spirit. All our tastiest cold weather recipes start making appearances. Soups, chilis and stews. Hot cocoa. Mulled wine. And spicy, warm, fragrant Old Fashioned Gingerbread with Lemon Glaze. The fragrance of gingerbread baking is just delightful as the cinnamon, cloves and ginger fill the house with holiday cheer. The spices used in gingerbread are truly ancient. There have been volumes written about its origins and most experts feel sure it originated in the middle east. I think, considering the spices involved, that conclusion makes sense. My gingerbread recipe is probably most similar to British gingerbreads. 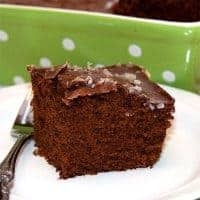 It’s moist, cakey and very pungent from the molasses. The spices give it a warm feel in the mouth and the lemon glaze adds just the right amount of tart sweetness. Beat the margarine or butter at medium speed until fluffy. 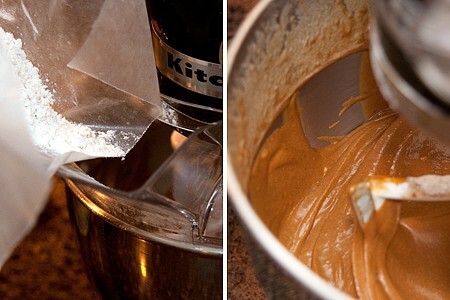 Gradually add the sugar, beating well. Add the molasses and egg and beat until well combined. Combine the flour, baking soda, salt, ginger, cinnamon and cloves. Add the flour and spice mixture to the creamed mixture alternately with water, beginning and ending with the flour mixture. 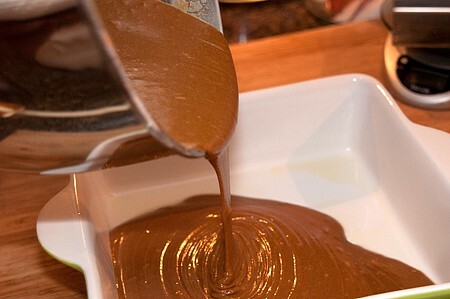 Pour the batter into a 9-inch square baking pan coated with cooking spray. Bake for 40 minutes or until a wooden pick inserted in center comes out clean. Cool in pan for 10 minutes. 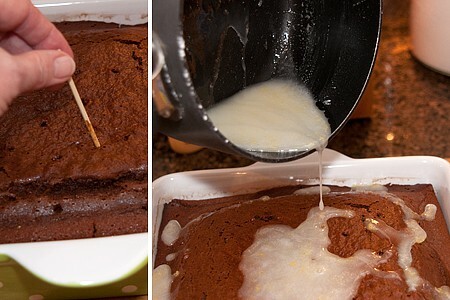 I use a skewer to make holes all over the gingerbread and then pour the warm lemon glaze all over the top. A spicy, old-fashioned cakelike gingerbread with a tart-sweet lemon glaze. Beat the margarine or butter at medium speed until fluffy. Gradually add the sugar, beating well. Add molasses and egg and beat well. 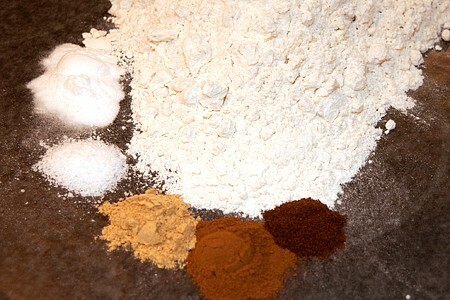 Combine flour, baking soda, salt, ginger, cinnamon and cloves. Add flour mixture to creamed mixture alternately with water, beginning and ending with flour mixture. 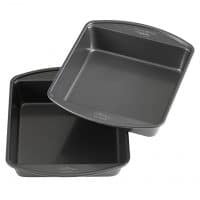 Pour batter into a 9-inch square baking pan coated with cooking spray. Bake for 40 minutes or until a wooden pick inserted in center comes out clean. Cool in pan for 10 minutes, then pour Warm Lemon Glaze over gingerbread. Combine all ingredients in a saucepan and cook over low heat, stirring frequently, until warm. wow Lana – another great recipe! my father-in-law loves, loves, loves gingerbread but i bet he’d be over-the-moon with the addition of that lemon glaze! I love that sweet-tart lemon along with the spices in the gingerbread. And this simple glaze is easy, easy, easy. This looks so yummy! I remember my mom making lemon sauce to go over the gingerbread when I was little. I loved it! Thanks, Shelby! I think gingerbread brings back long ago memories for lots of people. 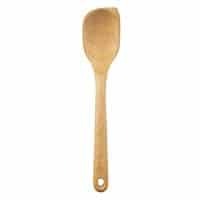 It wasn’t something we grew up with in our household but I always think of it around this time of year. Yes! Actually it makes the whole house smell fantastic! 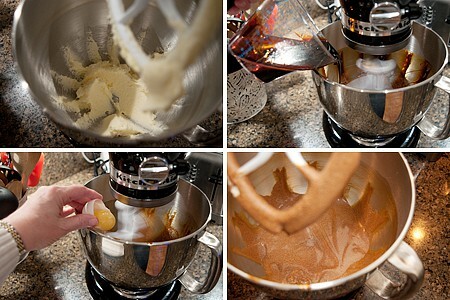 Ahhhh….I love gingerbread but have never made it from scratch. I know hard to believe isn’t it! Darling green polka-dotted baking dish! Love it! 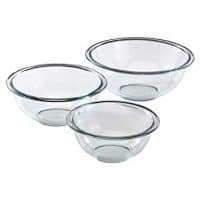 They have those baking dishes at T. J. Maxx-HomeGoods for next to nothing. All sizes, too. I was going to comment on the green polka-dot dish, too. It certainly brightens up the table. Thank you for the recipe. Ok that looks amazing! Did you change your header? I love it! I love the lemon glaze! Thanks, Maria. To me, the lemon glaze really makes the whole recipe! This looks great! I’m loving the lemon glaze…yum! Love your style of cooking and your photos are gorgeous! Thanks, Jenna. Did you find your grandmother’s recipe? This looks so delicious, Lana. That big ole piece would be perfect with some hot cocoa! Thank you, Robyn. It was good while it lasted. Might have to make some more when the grandbabies come for Christmas. Yum, Gingerbread! Mama served it with whipped cream and bananas. I am delighted to find your marvelous blog. I know/knew many of your Miller County relatives. We live at the old Campbell Homeplace, about two miles from the Taylor Homeplace just across the county line. I made Gingerbread boy and girl cookies a couple weeks ago with my grandkids the weekend of Thanksgiving. Not so much to eat but to transform into Christmas Tree Ornaments. So, I looked for a cookie recipe that was pretty firm and stiff. It made great ornaments – but not so hot when it comes to eating – but that was on purpose. what great shots, I love this kind of cake and your picts are fabulous!